A smart, simple to use ceramic non-stick fry pan set designed for healthy, efficient cooking from Basic Essentials. 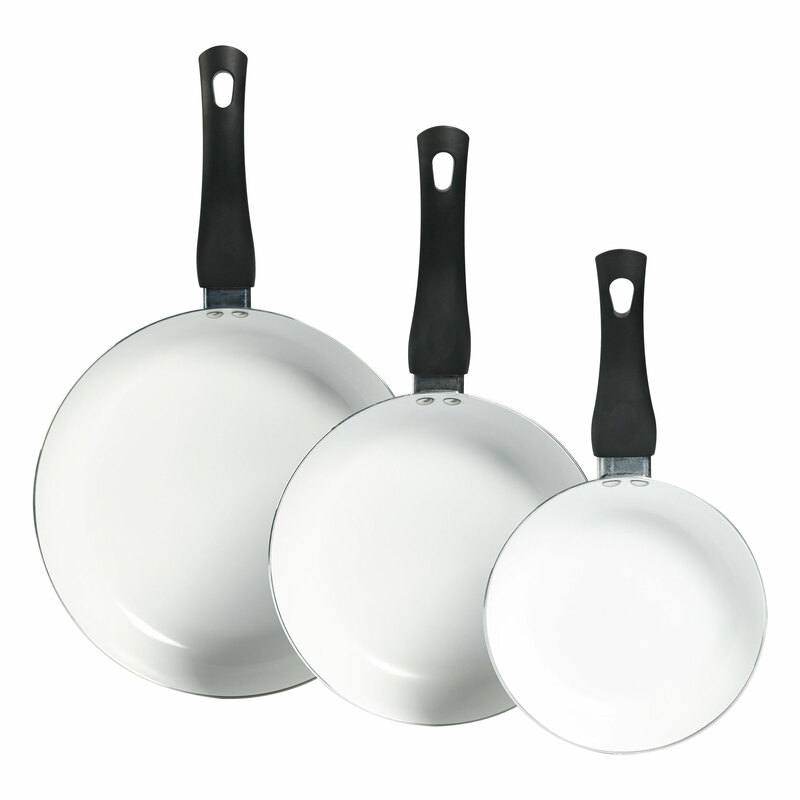 If you want to cook healthy and efficiently, this Basic Essentials Set of 3 Ceramic Non-Stick Aluminum Fry Pans is for you. The ceramic non-stick interior coating is eco-friendly – with no PTFE, PFOA or cadmium. Durable ceramic non-stick coating promotes healthy low fat cooking, delivers good release, high heat tolerance and scratch resistance, plus a smooth easy to clean surface. These energy efficient aluminum fry pans provide excellent heat conductivity and cook evenly. Ergonomic handle with flame guard stays cool to the touch. Exterior finish makes cleanup simple. All which makes it simple to sauté vegetables, cook eggs, omelets, burgers, fish fillets, chicken quarters and more. 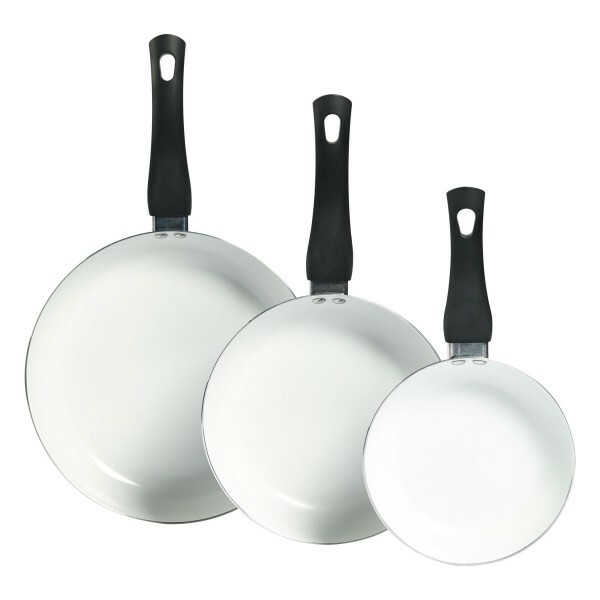 The set includes a 7 inch ceramic non-stick fry pan, 9 inch ceramic non-stick fry pan, and 11inch ceramic non-stick fry pan. Get the perfect fry pan set for healthy efficient cooking from Basic Essentials.